Mike Brown is originally from Ann Arbor Michigan and graduated from Michigan State University in 1992 with a marketing degree. After years of traveling the globe with the military flying on cargo jets and working on computer networks he ended up here in Rehoboth Beach Delaware with his wife Kelly and daughter Morgan. The Brown family live on the bay with a spectacular view of Dewey Beach and take every advantage of the great crabbing, fishing and boating that the Rehoboth Bay has to offer. 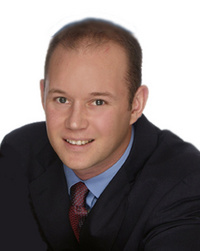 Contact REALTOR® Michael Brown to get started in your Rehoboth Beach Real Estate search today. Unlike many real estate agents, Mike is not pushy or annoying. If you decide Rehoboth Beach is not what you are looking for, he will not harrass you with phone calls or junk e-mail. Call him today at 302 258 4368 to set up an appointment. Whether you are relocating to Rehoboth Beach or just looking for a summer beach home, REALTOR® Mike Brown can help you find the Rehoboth Beach house or condo that fits your lifestyle.